Trying to get pregnant and want natural fertility? For many couples sub-fertility and infertility can be emotionally exhausting, not to mention an expensive condition. Sub-fertility is diagnosed when a female does not fall pregnant after 12 months of trying. 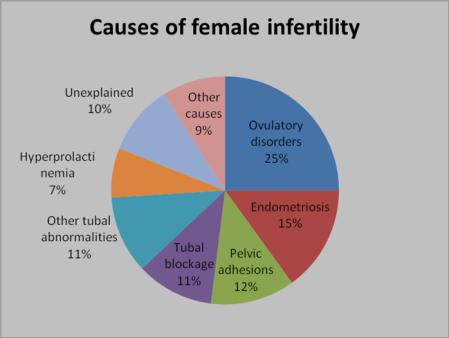 Infertility is diagnosed when a female does not fall pregnant after two years of trying. The rate of sub-fertility and infertility is increasing and statistics show that 1 in 6 couples suffer difficulties conceiving. 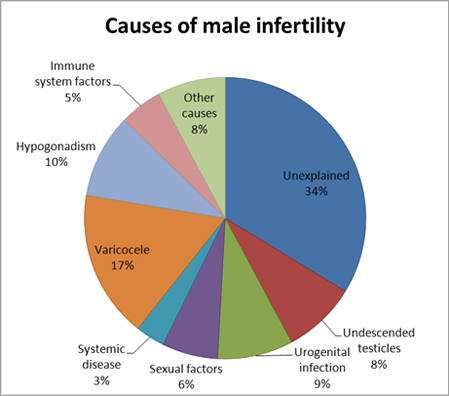 Figures vary, but as many as 40% of causes of infertility is what is termed unexplained infertility, that is infertility where both partners are apparently normal according to all tests. It can be hard to accept that the answer may be in your own hands, just as it is unsatisfactory for a doctor to recommend changes in lifestyle rather than handing over a prescription. If you’re in Melbourne, let us help you! Reflexology is growing in popularity as a natural fertility treatment and is a proven traditional healing art dating back 3,000 years. It involves manipulation of pressure points on the feet and hands and is often used to ease period pains but it is also very successful in assisting females with endometriosis and PCOS to become pregnant. It is also successful in assisting with an increase in sperm count and sperm mobility. Reflexology for fertility does not involve the high cost of IVF and exhausting procedure of medical egg collection and is often the first step a couple may take on the path to fertility solutions. Infertility is often a complex problem and a warm and caring approach is appreciated by couples. One of the significant advantages of reflexology is that not only does it increase fertility in males and females but it also reduces stress levels. A one hour fertility treatment on the feet reduces blood pressure, cools the body, settles the nervous system and promotes relaxing sleep. * Polycystic Ovary Syndrome is a condition in which a woman’s levels of the hormones oestrogen and progesterone are out of balance. Most women with pcos grow many small cysts on their ovaries. The cysts are not harmful but lead to hormone imbalances. How to get pregnant with PCOS. * Endometriosis is not always the cause of infertility and low levels of Endometriosis may not lead to infertility. Some women are unaware that they have endometriosis as they have no symptoms. Drugs given for endometriosis do not increase pregnancy rates as most drugs suppress ovulation.How to get pregnant with endometriosis. Some points on the feet are associated with a woman’s egg production and by manipulating these areas a reflexologist can correct the imbalances that hamper pregnancy. We are conveniently located in the Brighton/Hampton area in Melbourne. Please call Kate on 0408 661 863 to find out more, or to book an appointment. Men who have a low sperm level can also be treated by manipulating pressure points on the feet related to a man’s sperm production. Infertility is a very personal and worrying problem for couples who find themselves in this situation. They quite commonly have difficulty discussing it with their more fertile friends and family. They often feel very vulnerable and are reluctant to take the medical fertility route where they may feel they are on a pathway that once taken is difficult to back out of when they are unsuccessful in the early stages or their body’s response to the drugs given them leads to significant health issues. Although the statistics indicate that 1 in 6 couples suffer from infertility or lowered fertility the statistics are based on couples who seek medical help. These figures take no account of many more couples who do not wish to seek medical advice or those couples who resolve their fertility problems with the assistance of complementary therapists. There have been many debates over whether infertility causes stress or whether stress causes infertility. Many couples are just told that they have unexplained infertility which is a stressor in itself because if the medical experts cannot explain or resolve their infertility who can? The emotional responses to infertility are often mentioned in publications but as other dysfunctional areas of the body are created or enhanced by stress it is not unlikely that infertility is also affected by stress. Reflexologists in Australia work both independently and also in conjunction with IVF treatments. The soles of the feet are like a mini map of the inside of the body and are linked to inner organs and body systems, including the fallopian tubes, ovaries and testicles. By pressing these areas on the feet the nervous system is unlocked, energy pathways are accessed to assist the body to regain its natural balance and heal itself. If you’re looking at how to increase fertility, this is a crucial part of the process. It is most important that each couple are as healthy as possible before commencing reflexology fertility treatments. I work with a naturopath who provides a good nutritional start to the program. I conduct a couple consultation at the start of the fertility program followed by a weekly treatment for the first 3 months followed by fortnightly treatments until conception. I see males once a month until their partner becomes pregnant. I generally see my mums-to-be monthly throughout their pregnancy. There are many reasons for turning to alternative or complementary therapies, not least of which is to assist your body to heal itself and the therapist should make recommendations on how to improve your diet and lifestyle along with the therapy and provide you with a list of changes you can make to get your body conception friendly. You and/or your partner will need to see that person over several weeks or months as you slowly increase your well being and reduce any stress and tension. Single motherhood is also becoming a lifestyle option and many potential single mothers prefer to consult a complementary therapist as it is a more private option. It is important to choose a therapist with whom you feel comfortable and you should change your therapist if you feel they are not providing you with the warm encouraging environment you expect. Many complementary therapies have a history that goes back over hundreds of years and more and there are plenty of examples of complementary therapies that are successful with fertility. These examples are complementary therapies that work well when they are combined and the therapist you choose may suggest that you visit one of the other therapists so that they can work together to help boost your fertility and achieve a successful conception and pregnancy.